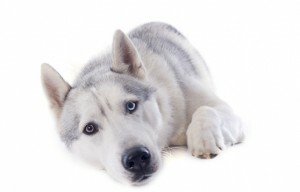 With the tremendous rise in Siberian Husky registrations (AKC quote Huskies as the 14th most popular breed in 2013, and still rising) comes a wave of interest in the breed, and a desire to own one. Unfortunately that also means unscrupulous breeders are profiteering from this popularity, operating puppy mills to maximize profit rather than improve the breed. Here we look at puppy mills, and how to identify one, so you can avoid supporting such businesses. A puppy mill, or puppy farm, is a breeder that aims to profit from the breeding of dogs, rather than improve the breed. Typically they minimize costs and cut corners on animal welfare to maximise their profit. Animals are sometimes bred frequently and recklessly. The term backyard breeder means much the same thing, and might refer to an individual operating on the same principles. The ASPCA quotes there could be as many as 10,000 puppy mills in the USA alone. Note that some of them are licensed breeders – but are still in it for the money, not the love. Breeding a female too frequently. Not taking care to match dogs suitable for breeding, based on temperament or genetic traits that cause health issues. Supplying minimal accommodation to the dogs that might not be particularly sanitary. Not getting dogs checked out by vets (which cost money, of course), and not getting the proper vaccinations. A large number of dogs on site; 30 or more is a warning sign. 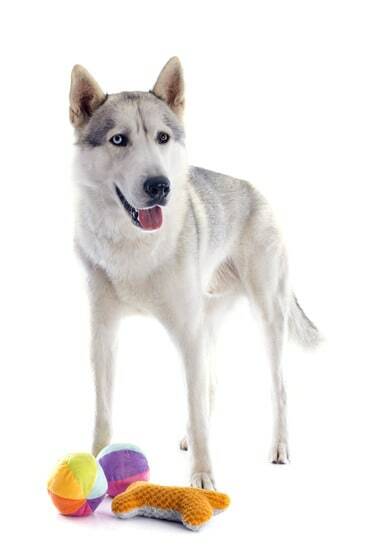 The breeder has different breeds for sale; Huskies and something else. Genuine breeders tend to specialise in one breed. The parents of the puppies are not on site, or not able to be presented. The breeder advertises heavily in newspapers and other classifieds. Advertising increases around holiday times such as Christmas. The breeder is willing to let puppies go before 8 weeks, and perhaps before vaccinations have been administered. The breeder is known to supply pet shops. There appears to be a constant supply of puppies from this breeder, all year round. The breeder will bring the puppy to you in another location, and/or avoid showing you around his property. The property is not sanitary, or dogs are kept in confined cages. Finally the biggest warning sign: the breeder does not ask you questions about your environment, lifestyle, reason for a buying puppy, or the breeder tries to let you take the puppy home right away. Responsible breeders do not let their puppies to go “nobodies”. They try to match puppies with suitable and similarly responsible homes. We might not be ready now, when do you expect the next litter of puppies to become available? Many breeders do not plan ahead until the current litter is all taken care of. We are not sure what dog food we should be buying. What do you feed the puppies? To keep costs down, puppy mills feed the cheapest dog food available. Are the puppies vaccinated and checked out by a vet? If the answer is ‘no’, be very suspicious. Is there any guarantee on the health of the puppy? Responsible breeders always provide a guarantee that the puppy is healthy, and will detail any potential long term health issues. Pet s hops are notorious ‘front ends’ to puppy mills. We recommend going directly to the breeder rather than paying a premium to the retailer and encourage the practice. You can locate breeders in our breeder directory, and also the SHCA Referral Directory. In either case there is no guarantee you are dealing with somebody responsible so keep your eyes and ears open for suspicious behavior! Ask a lot of questions, and if you are unsure, be prepared to walk away. We know puppies are irresistible, and Siberian Husky puppies are frighteningly cute, but you have to be strong enough to walk away and not support this terrible industry. If you suspect you have spotted a puppy mill you can report it. The Humane Society provides advice on what steps to take. 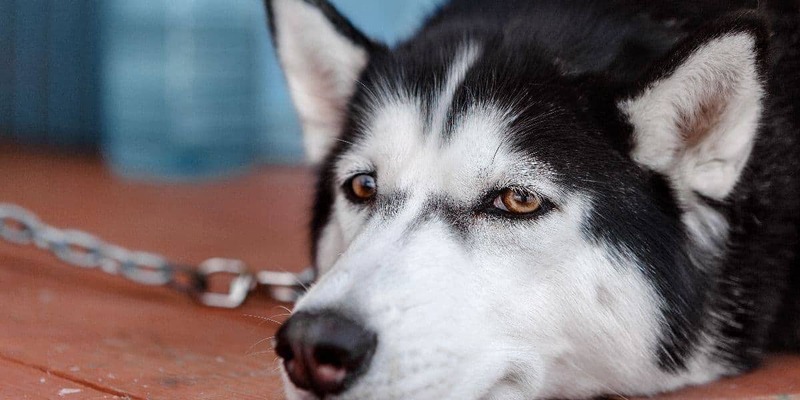 By keeping your ears and eyes open for certain behaviors of a puppy mill operator, you can avoid them and instead buy your Husky puppy from a genuine, responsible breeder. Even better you can consider adopting a Husky instead – perhaps from a rescue shelter. We also have some tips on adoption and what to expect.